A software update is now available that makes several adjustments to enhance the overall experience. Please start the game while your Wii U console is connected to the internet to update the software. The software version after this update will be 2.1.0. Please note: after this software update, an in-game message notes that new gear has been added. However, this gear was added in a previous software update, and there is no new gear added with this software update. We apologise for any inconvenience. Arowana Mall: Changes the layout in all modes to prevent users from travelling in an unintended way at a specific location. 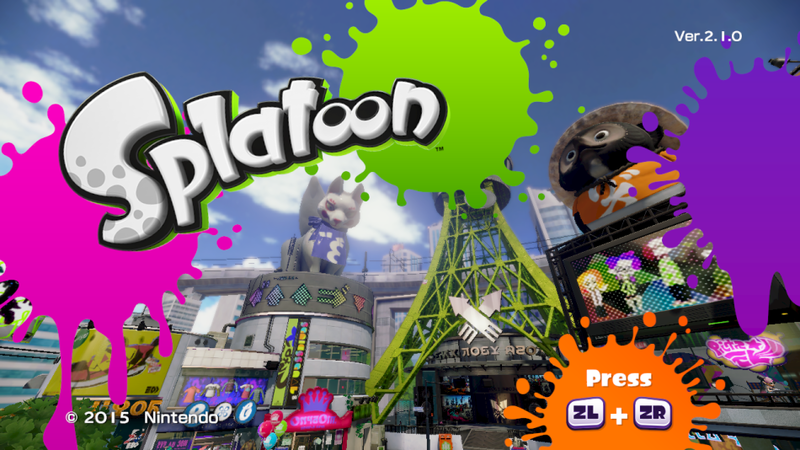 Camp Triggerfish: Changes the layout in Turf War and Splat Zones to prevent users from travelling in an unintended way at a specific location. Rollers: Corrects an issue introduced in version 2.0.0 that affected camera movements while moving with the roller raised. Splash Wall: Corrects an issue where throwing a bomb while touching the opposing team's Splash Wall would occasionally damage opposing players on the other side. Tower Control: Fixes an issue where the distance counters would display the same number when the scores were very similar.